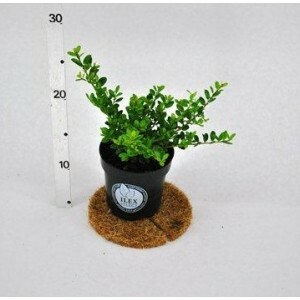 Ilex Crenata dark green is very similar in appearance similar to Buxus Sempervirens and is a great alternative especially if Box Blight is a particular cause for concern. It has glossy, small, dark green leaves and once established can grow at least 20cm a year. It also produces small black shiny fruits in the autumn. This beautiful Ilex Crenata dark green troughs make a great instant ready hedge. It is a fantas..